Once a sanctuary for pirates and outlaws, and a blooming pearl hunting village, Doha has managed to shed the bandits, overcome imperial rule and rise from the blazing sands as a glittering urban oasis. 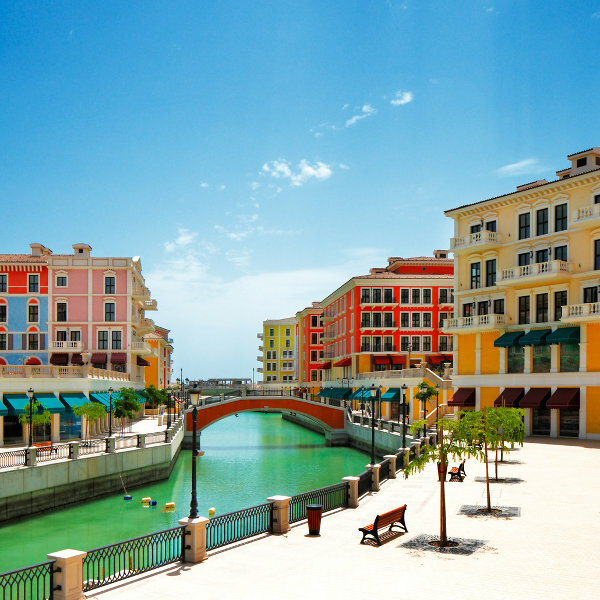 It has a population of 1.5 million and is the economic centre of Qatar. 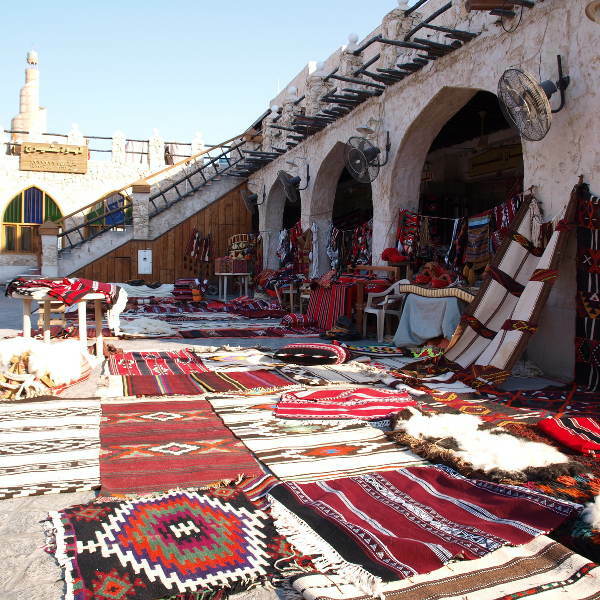 Attractions include the Souq Waqif, Doha Fort and Al Corniche. Brace yourself for an odyssey into the richest country in the world with cheap flights to Doha. Hamad International Airport (DOH) is an enchanting 20-minute drive from the Doha Corniche, the city’s charming promenade. 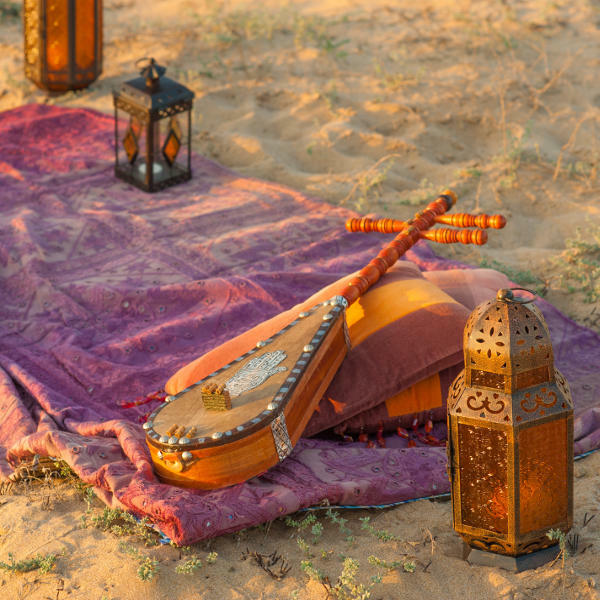 Wander the alleys of the historic souqs and discover traditional music of the nomadic Bedouin, or slip into a bar and be seduced by smooth jazz and provocative Latin rhythms. Four million square metres of Middle Eastern innovation laid out like a pearl of necklaces in the emerald waters of the Persian Gulf, a symbol of Doha’s prosperity and sophistication. 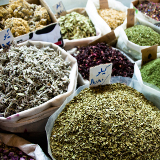 Encounter traditional Qatari dance, browse the dusty streets for traditional garments, aromatic spices, ornate rugs and exotic incense, or enjoy harees and kabsa at an authentic Arabic restaurant. Doha experiences an arid climate, with temperatures reaching over 40 degrees Celsius in summer. Its climate can be intense, but offers an extraordinary opportunity to experience the mystical desert landscape. In terms of weather, the summer months (May - September) bring blazing temperatures and higher prices. However, Eid l-Fitr and Eid al-Adha are held during these months, which are deeply religious and sacred religious celebrations, and offer a glimpse into the culture of Doha. Temperatures become milder the rest of the year, offering pleasant conditions for roaming around the city, camping overnight on one of the surreal desert beaches, or wandering through the chaos of a traditional souq. Events such as the Qatar Masters Golf, Qatar Motor Show and Tribeca Film Festival are also held throughout the year. Despite its conservative customs and traditions, a trip to Doha is an experience unlike anything else. A journey into this ancient corner of the world presents a unique opportunity to gaze in wonder at a city that was once a haven for outlaws and freebooters and is now a prosperous metropolis. Beneath its grandeur and sensational landscape (it is one of the few deserts whose dunes cascade into the sea), it is home to a thriving artistic centre, authentic souqs which were once trade markets for the Bedu, and an alluring cosmopolitan lifestyle. Wander astray and you will encounter Arabian horses, camels and falconers. From the moment you board your flight to Doha, to the moment you leave, you will be spellbound by this gleaming city. It waits in the untamed sand of the Arabian Desert, ready to awe, seduce and inspire. Compare and book your cheap flights to Doha with Qatar Airways online at Travelstart! South African passport holders do require a visa when travelling to Doha and Qatar. You will need to meet certain requirements in order to qualify. Before leaving on your trip, ensure your passport has two blank pages for stamps and has a validity of at least six months. 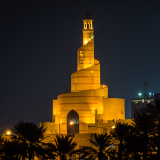 When travelling to Doha it is highly recommended that you familiarise yourself with the local customs and traditions as there are certain religious and cultural considerations. You will be expected to adopt these upon arrival, and respect them throughout your trip. Qatar is one of the safest countries in the world, and the people friendly and welcoming. However, it is a country that follows strict laws and Islamic customs and etiquette, which foreigners are expected to respect at all times. Familiarise yourself with these before you arrive. It is also recommended that you obtain travel insurance to cover theft and medical expenses, as medical treatment in Doha is superb, but expensive. Women should exercise caution, or avoid travelling alone at night. Although Doha is largely unaffected by terrorism, it is an ever-present threat. Sandstorms and dust storms are a regular occurrence. Monitor the media for up-to-date information and follow the advice of local authorities in the event of any natural disasters. Immunisation against Hepatitis A and Typhoid are recommended. 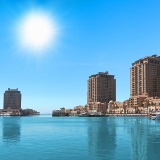 Accommodation in Doha opens you up to a world of decadence and world class service. Hotels and resorts in Doha are beautifully crafted, and often adorned with modern Arabesque designs and drenched in Arabian opulence. Award winning restaurants, complimentary butler services, terraced rooms overlooking the ocean, enchanting piano symphonies in the reception hall, ceilings veiled in oriental carpets and exceptional facilities are standard features in the more expensive hotels. However, even the budget hotels (which are often conveniently located) offer in-house dining, sophisticated stylish bars and exceptional service. For a truly memorable experience, a stay at a hotel in the historic Souq Waqif allows you to feel the beating heart of Doha. Taxis are the most widely used means of transportation in Doha. Karwa taxis are reasonably priced and easy to find beyond the terminal at the airport. Taxis can often be arranged through the hotel reception. The five-star hotels offer courtesy pick-ups and often have their own shuttle bus and limousine services for airport transfers. Chauffeured limousine hire for appointments is common among more affluent travellers and those visiting for business. Doha’s bus services are of a high standard, yet reasonably priced. A number of interesting destinations and attractions are scattered along a route served by the West Bay shuttle. Car hire is also a good way to explore the city. A number of car hire firms operate within Doha.